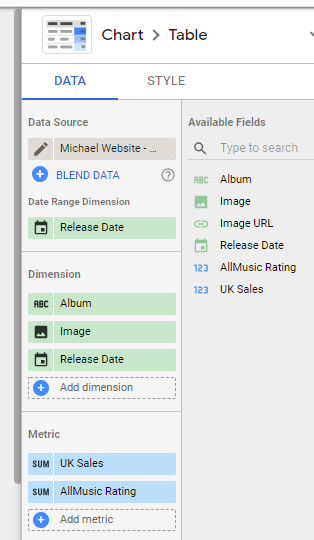 In this post I’ll show how you can add images to a table in Google Data Studio. I need to thank Lee Hurst @Helpfullee for introducing me to this method. I came across it in his excellent Data Studio Resource finder. 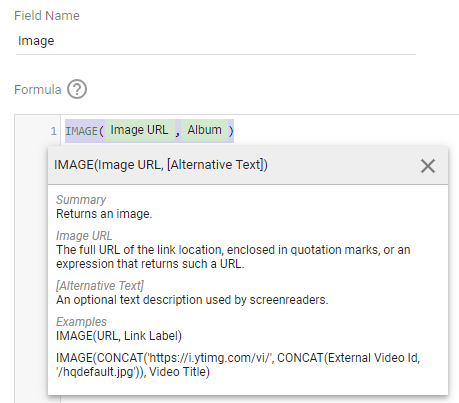 I also looked at ClickInsight’s very good post on the topic, as well as Google Data Studio’s information on adding images. I decided to do something a bit fun with these images, and use them to display the album covers of the Prodigy. Each image is based on a link to the album cover image filed on Wikipedia. 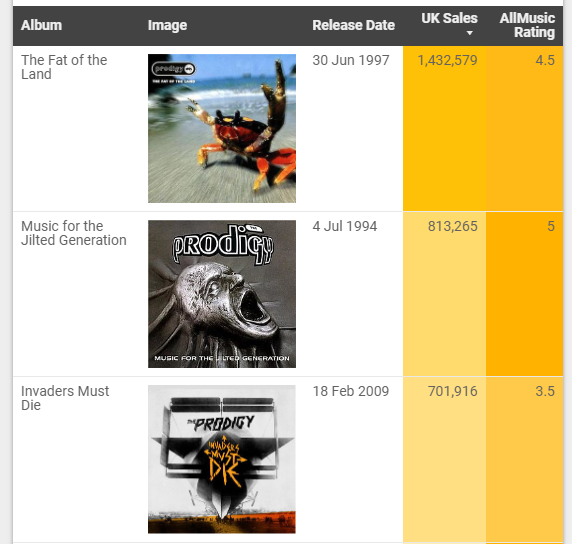 For this Data Studio report I decided to create a table in Google Sheets with some simple information about the Prodigy’s studio albums. This was the Album title, Release Date, number of UK sales, the AllMusic Rating and (importantly for this post) the Image URL. I then added my table as a data source to a new Data Studio report. The next step is to create the Image field that we want to have. Image URL – a field or expression that evaluates to a URL. Alternative Text – (optional) a field or expression that evaluates to Text. Therefore the image will be based on the link to the album cover, and the alternative text will be the Album name. And then our table should look something like what is shown below.